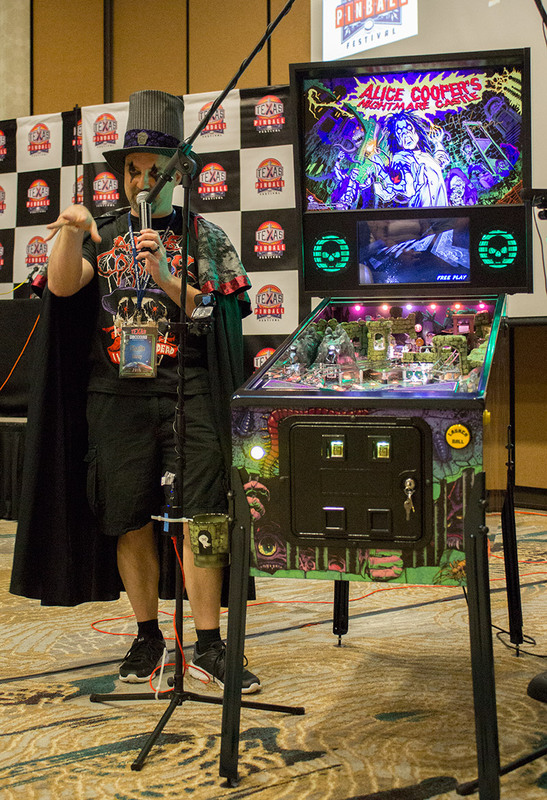 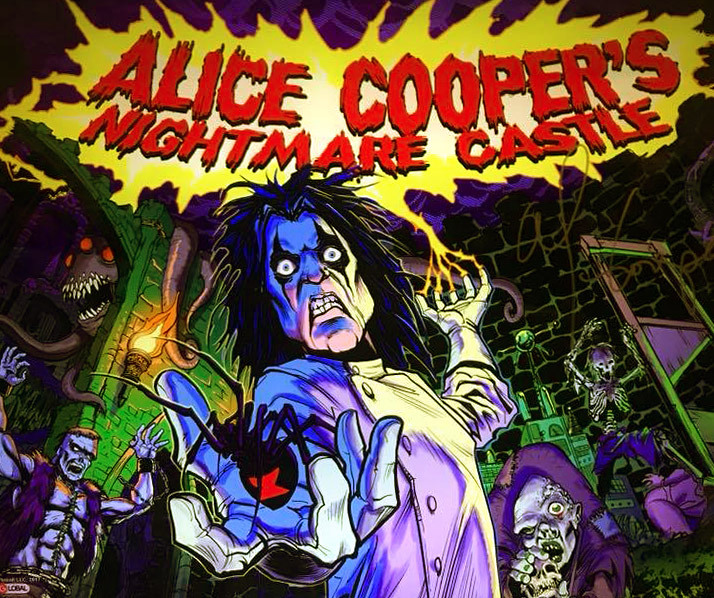 On Saturday at the Texas Pinball Festival, Spooky Pinball unveiled their next in-house title – Alice Cooper’s Nightmare Castle. 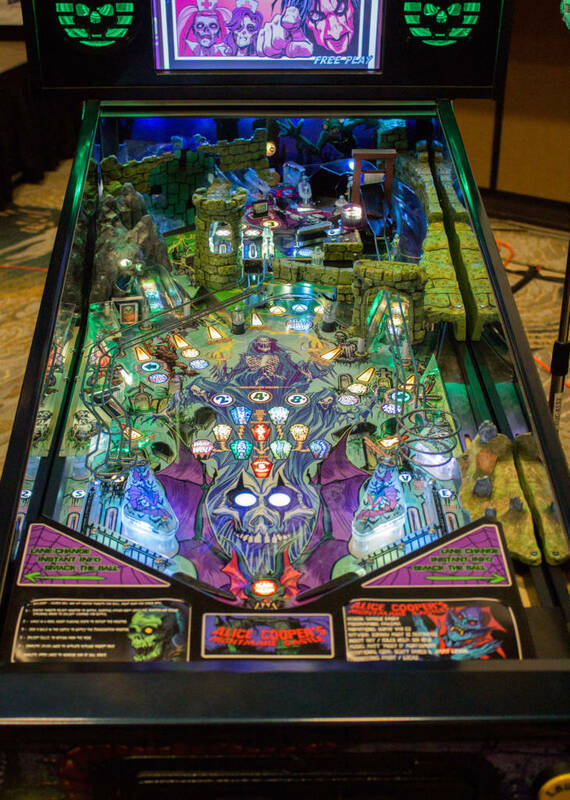 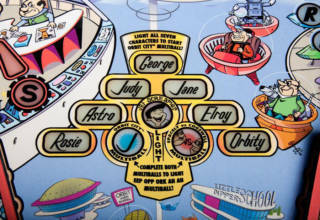 The title had already been announced but this was the first opportunity to see the playfield layout and artwork, and actually play the game. 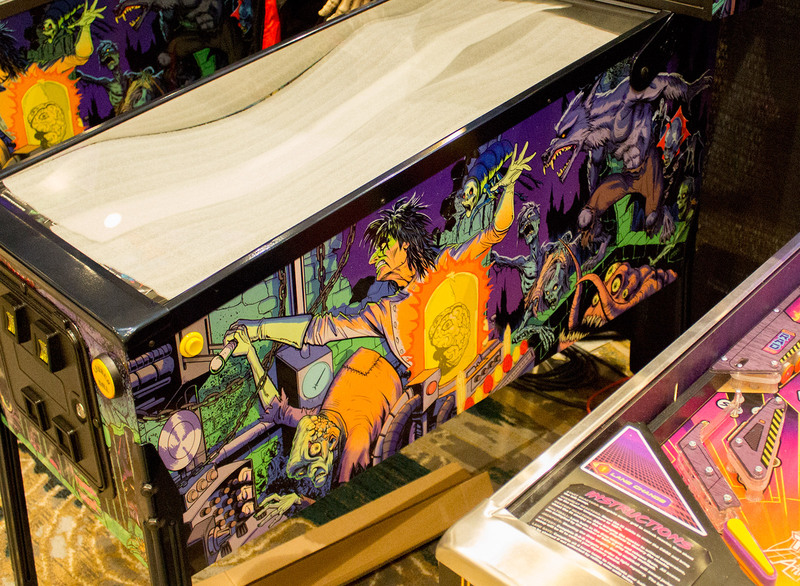 Before the reveal the game was on display at the Spooky Pinball stand at the show, but the playfield was covered. 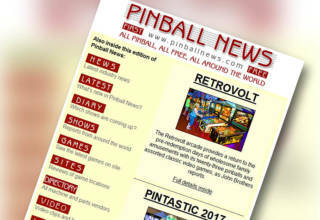 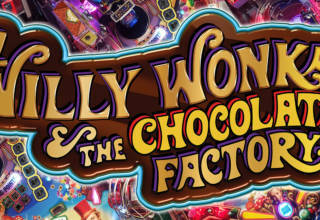 Spooky Pinball’s Charlie Emery presented the game at 4pm on Saturday 17th March at his seminar. 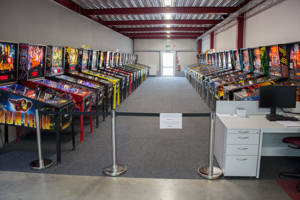 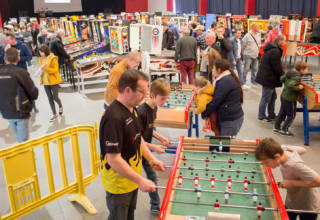 Afterwards, two machines were available to play back in the main show hall. 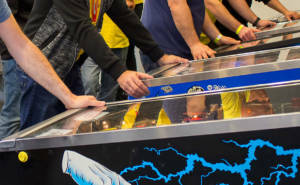 Charlie said the game runs on the P-ROC system as opposed to the Ben Heck-designed boards used in earlier Spooky games. 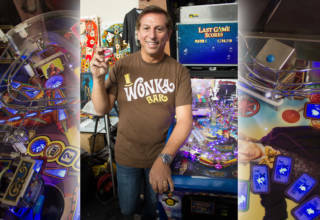 He also said it contains over 700 custom speech calls from Alice Cooper and a total of sixteen music tracks – ten by Alice and six incidental music tracks by Matt Montgomery. 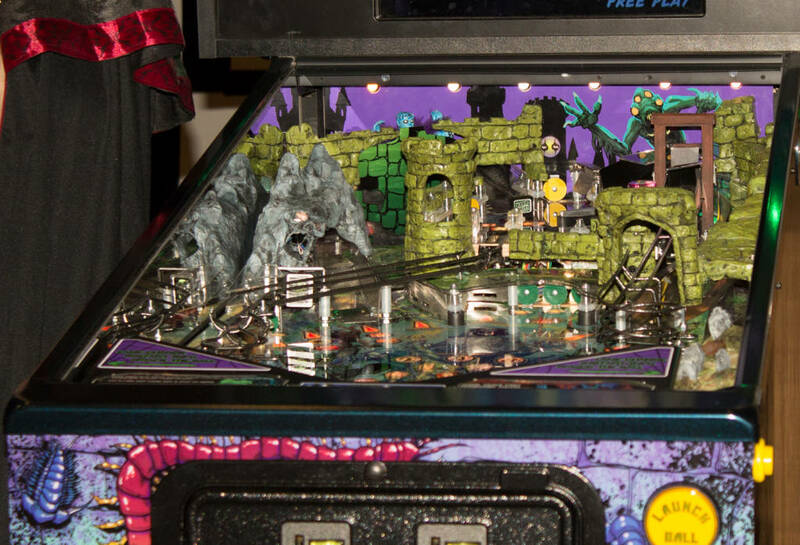 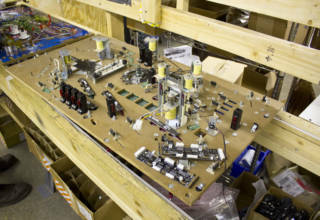 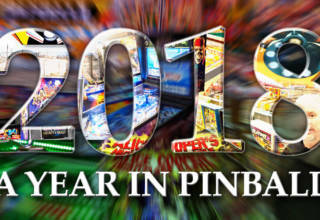 Orders for the 500 premium machines will be taken from March 26th at the Spooky Pinball website.